I understand from the personal readings I had done on the paranormal that those in the spirit world rather tend to inhabit large, dark, quiet and uninhabited halls. 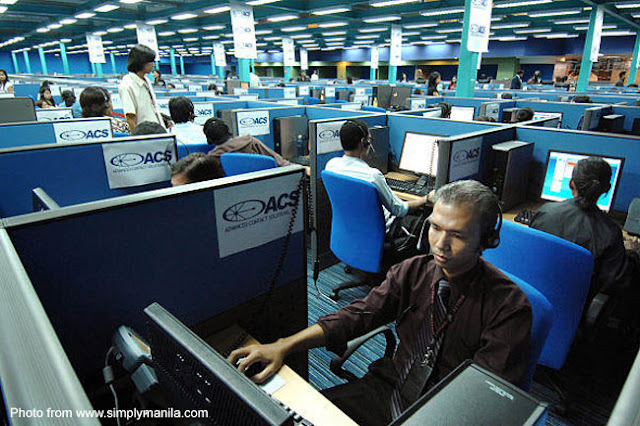 But brightly lit call centers? Last Sunday, I finally met up with my eldest sister and her family for a get-together that had been postponed several times. We visited an ageing aunt; then went off to have lunch at this restaurant uptown. While waiting for the waiter to deliver our food, we just sat inside this little bahay kubo talking idly as members of a family rather tend to do in a get-together. I guess it was inevitable that talk eventually wandered into this site; and I must have mentioned offhandedly that my Diokno ghost story had been raking in the stats. That triggered a spate of ghost-story telling, a favourite family pastime when we were still kids gathered around the sala after supper. 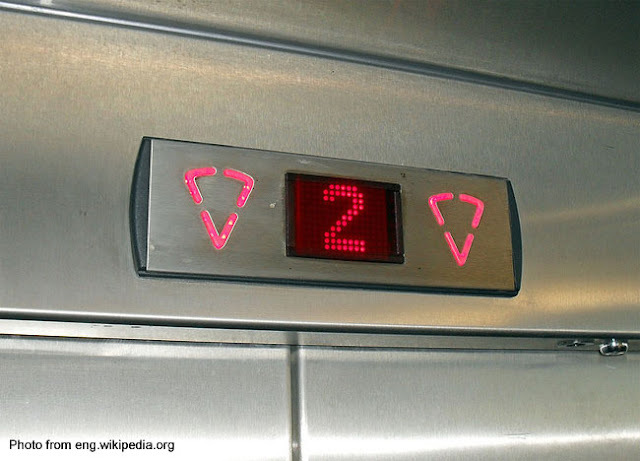 My niece, who works the night shift with just two other ladies in a small outsourced medical billing company in Alabang, started talking about how the elevator in the building she worked would religiously make its way to the eighteenth floor each night. Wary about spooking her officemates, she had been keeping the nightly occurrence to herself. She would see the elevator making its way up in its nightly ritual by the lights above their floor’s elevator door. His story reminded me of this one morning in 1983 – I was still on my first year of teaching – when I had the strangest encounter at the office of the Assistant Principal, where everyone logged in for the day. In those days, I used to always be among the first to come in for work. On this particular morning, the sun had barely risen and the office where I was to log in was still partly dark. When I came in, I immediately saw the silhouette of a person from behind the translucent jalousies of the Assistant Principal’s Office inside the room. I quickly lifted my attendance sheet off the rack, noted the time I came in, returned it to its place and then approached the window. With my fingers, I pried the jalousies open – and to my utter surprise there was nobody inside! The silhouette was still there just before I opened the jalousies, for crying out loud! Like my nephew, I also did the sensible thing and left the office like a bullet fired from a gun. The most extraordinary stories last Sunday were, however, told by my sister – oh, and naturally she also works the night shift in a call center. There was this one time – she related – when she was in a team-building activity with some colleagues. One particular activity involved blindfolds. The blindfolded ones were supposed to feel the bodies of other officemates to determine their identities. Or what about this little girl who would be seen walking around the workplace and also disappear into thin air…? Like I said at the start of this post, I rather tend to equate these manifestations in large darkened halls. But a brightly-lit call center? My sister’s last story was the most hair-raising of all. She was in a conference with a couple of male colleagues when the plastic bag of biscuits on the table started to levitate as though someone picked it up. The two gentlemen with her were immediately spooked into a hug; albeit, perhaps they just found a convenient excuse to hug each other. “You really saw the plastic bag floating?” I asked my sister incredulously. She swore she did! “Were you scared?” I asked. “Not really,” she replied, explaining that the place was brightly lit and there were a lot of people on the floor. There you go. Ghosts in the workplace who do not mind manifesting themselves even when the bright office lights are on and there are people busily earning their living… I suppose we all tend to associate “things that go bump in the night” with dark quiet places. 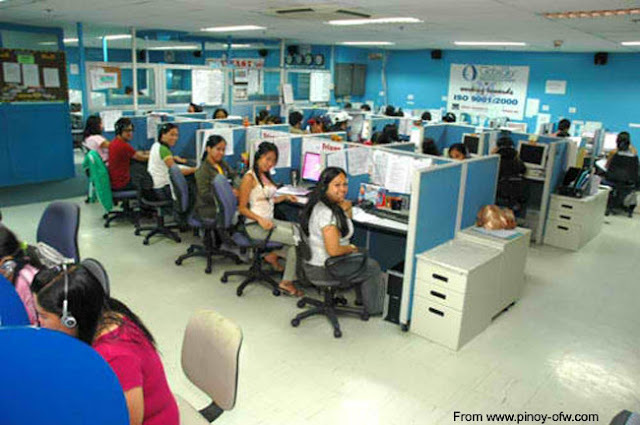 I just realized you cannot do that with call centers because nights are when they come alive. I suppose there the ghosts in the office just find a piece of mischief here and there and now and again just a tad irresistible.